Theresa White | The College Funding Coach Theresa White | Paying for college without jeopardizing your retirement! 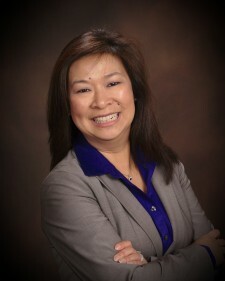 Theresa White is a financial professional with Capitol Financial Partners. She works with families that are interested in finding a better way to retain more of their hard-earned money by funding college without stopping their growth curve. She focuses her business practice creating unique financial strategies by helping people understand the “rules of the game” and how to use investment and insurance strategies to grow and accumulate wealth. Theresa was born in the Philippines and grew up in the northwestern suburbs of Houston, Texas with her parents and four sisters. Her parents instilled in their daughters the importance of a good education, hard work and “saving for a rainy day.” She attended Mary Baldwin College in Staunton, Virginia graduating with distinction earning a double major in Business Administration and Computer Information Systems and minor in Economics. Immediately after college, Theresa entered the computer science industry but soon realized that she would rather use her education of business and economics to help people. That led her into the automotive industry where she had a long and successful career championing substantial sales and profit growth for 20 years. Her experience includes consumer credit, finance, sales, business development, training and recruiting, as well as helping people reestablish their credit following bankruptcy. Shortly after the birth of her son, a series of unexpected life events led Theresa to walk away from the automotive industry in search of a path that allowed her to make a difference in people’s lives while also spend more time with her family and friends. Her desire to help educate people to take control of their financial future led her into the financial services industry. She started at New York Life in late 2011 and later Capitol Financial Partners in April 2013. After attending a “Little Known Secrets for Paying for College” workshop, she met with Brock Jolly, the founder and joined his team. As a member of The College Funding Coach™, she helps families focus on ways to qualify for more financial aid by leveraging assets to make their money work in a more efficient and effective manner. She is a Board member of the GMU School of Business Women In Business Initiative (WIBI) as well as a National Association of Insurance and Financial Advisors (NAIFA) member. Theresa is also supports various local and national charities and organizations such as the Parkinson’s Foundation, the Purple Heart, the American Cancer Society, and Medic Alert. Theresa lives in Northern Virginia with her husband, Eric and son, Devin. A self-professed “foodie”, she loves trying new recipes and restaurants, visiting museums, parks and traveling with her family. In an effort to stay healthy and keep up with Devin, Theresa and Eric have recently taken up 5K racing. Theresa is located in our Vienna, Virginia and Rockville, MD office. She can be reached at (703) 394-7109 or via email at theresawhite@financialguide.com.